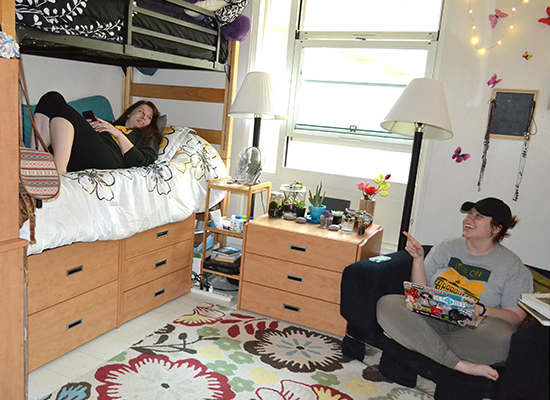 Cayuga Hall houses approximately 400 students on four floors making it easy to meet a lot of great people. The building is shaped like a figure eight which makes it easy to find all your friends. 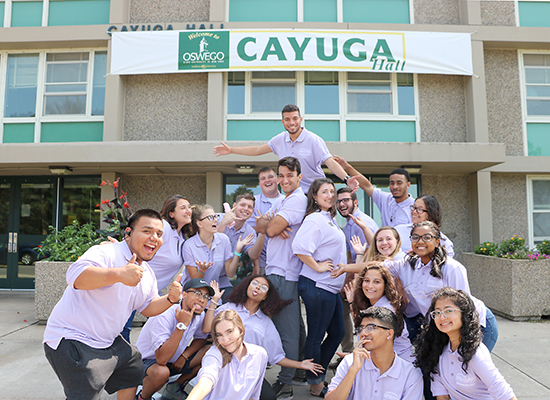 Cayuga is proud of the fact that we offer a variety of activities that reach out to all members of our hall community. The desk houses a current collection of over 900 DVDs, X-Box 360 with games, countless board games, vacuums, and kitchen equipment etc. all for resident use. 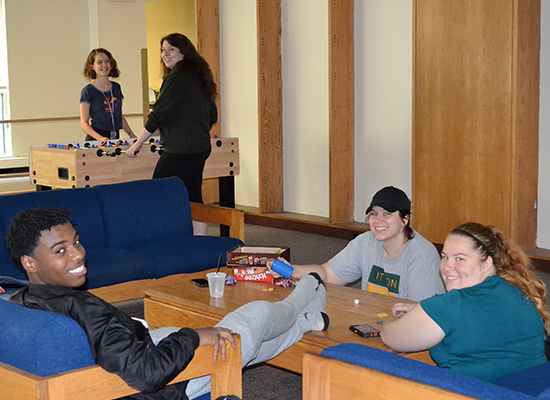 Our spacious main lounge has a pool table, air hockey table, ping pong (a hall favorite) and foosball table. 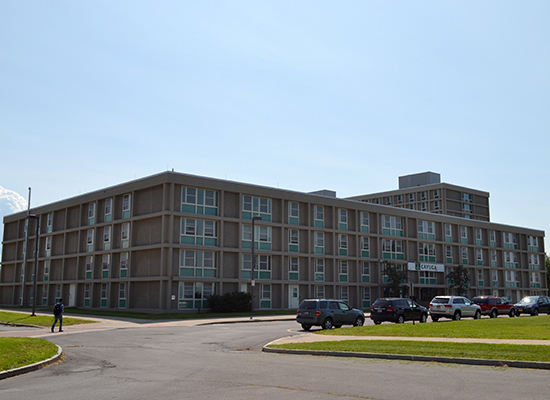 Cayuga Hall has tunnel access to Pathfinder Dining Center and Seneca Hall. 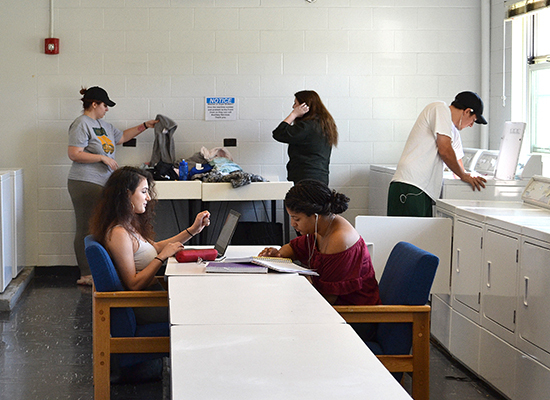 Cayuga also offers its residents a large kitchen and laundry room. 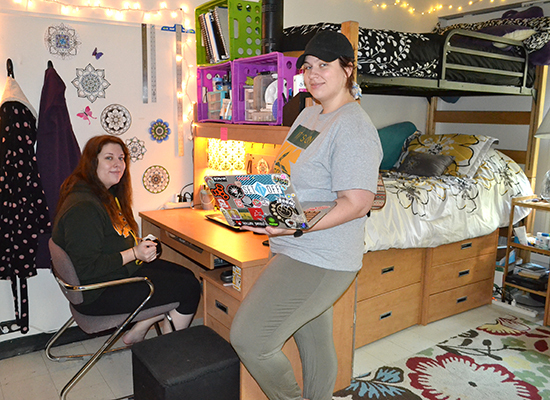 17 Resident Assistants, with two on the first floor and five on floors two through four. 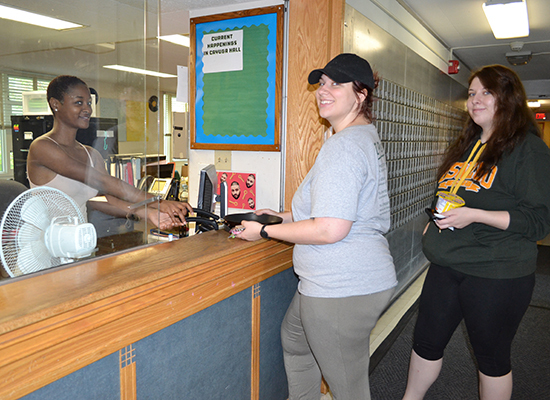 RAs are skilled in helping students to get involved with different activities including hall council, community activities, educational, social, and recreational programs, and community service projects. Short walking distance from Penfield Library and Tyler Hall. 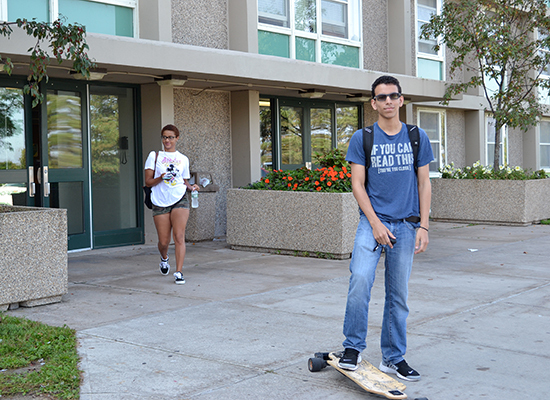 Cayuga is known for its tunnel access to Pathfinder Dining Hall. Never get caught in the rain or snow again.